Losberger De Boer, a key supplier of bespoke turnkey temporary structures for major events, is set to deploy its wide range of semi-permanent building solutions for the speedy construction of theatres in the kingdom following the recent lifting of the 35-year ban on cinemas. The company's wide range of semi-permanent building solutions can be constructed and operational within two to six months, depending on the size and style of the building. Shorter lead times reflect their prefabricated, modular nature. 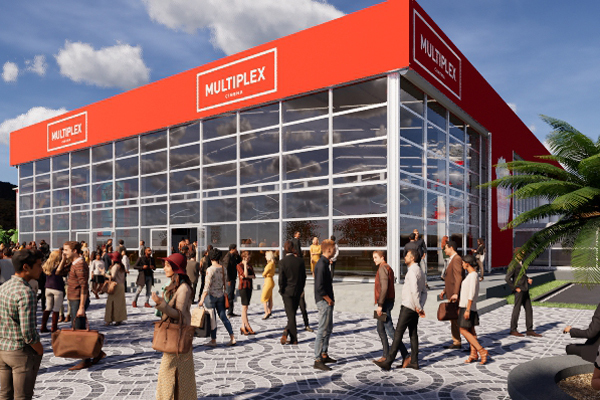 By opting for non-permanent structures, cinema operators can begin generating revenue and open more screens on an accelerated schedule, remarked Waleed Khaled, the regional sales director at Losberger De Boer Middle East. He pointed out that the modular temporary structures offered a sustainable solution for cinema operators in the kingdom who are seeking entrance into the market. "Losberger De Boer’s temporary structures, such as the Delta and Emperor structures, offer not only faster build times but also provide a significant degree of flexibility to cinema operators. Offering an alternative to cinemas located in malls, they offer the option to construct stand-alone multiplexes in unique locations, such as entertainment hubs, throughout the kingdom," explained Khaled. Led by Vision 2030, Saudi Arabia has entered a period of transformation, focusing on economic and social development and improving the quality of life of its residents. One of the social reforms implemented was the lifting of the decades-long ban of cinemas in December 2017. Saudi Arabia’s General Authority for Statistics estimates the kingdom is home to more than 32 million people, the majority of whom are under the age of 30, said the top official citing official data. The population spends $30 billion, equal to five per cent of Saudi Arabia’s gross domestic product, per year on tourism abroad, he noted. "Providing new entertainment options, such as cinemas, aims to redirect some of this spending back into the kingdom. PwC estimates Saudi Arabia’s box office market value could increase to $950 million by 2030 and the cinema industry could potentially generate revenues in excess of $1.5 billion," said Khaled. This provides the opportunity for cinema operators and the government to access a highly lucrative revenue stream, he added. He was speaking on the sidelines of the Cinema Build KSA forum which opened today (April 14) at the Four Seasons hotel in Riyadh. Losberger De Boer is a major sponsor for the two-day event, which is being organised by Eyes of Cities in collaboration with Great Minds Event Management. During the event, the company will be presenting cinema concepts for Saudi Arabia and wider Middle East market. The designs accommodate 150 and 300-seat configurations, with the flexibility to link multiple buildings to a central structure via enclosed walkways. Once built, these multiplexes will be the first of their kind in the kingdom, it stated. The Saudi event brings together the key stakeholders across the design, construction & technology sectors on a single platform to discuss the latest trends and atechniques of building world-class cinemas in Saudi Arabia. All of Losberger De Boer’s structures can be altered and upgraded to meet and exceed client requirements, stated Khaled. "For example, the Delta is available in 5x5 metre modules and can be built to a height of between 3.5 and 10 metres. All four sides of the structure can be extended, connecting up to ten basic elements, allowing operators to add large numbers of screens. The Emperor’s modular design also makes it easy to expand," he added. Following the 35-year cinema ban being lifted and the General Commission for Audiovisual Media’s approval of the issuance of licenses to open cinemas, big-name chains are looking to enter Saudi’s upcoming entertainment sector. Vox Cinemas opened its first multiplex cinema in Riyadh in May last year and has further announced plans to launch 600 more screens. According to the Quality of Life Program 2020, more than 45 cinemas will be launched in Saudi Arabia by 2020, and DIEC aims to open up to 100 cinemas throughout the kingdom by 2030. Losberger De Boer Middle East is no newcomer to the Saudi Arabia entertainment sector. The company accelerated the launch of the iconic Qiddiya entertainment, sports and cultural destination project by supplying an integrated complex of 15 semi-permanent buildings of varying shapes and sizes. The Losberger De Boer crew worked 9,360 hours over 36 days plus internal fit-out time, which allowed the turnkey delivery of this extensive project to be achieved within only 60 days, compared to one to two years for traditional permanent builds. In addition to the structures being fabricated using high-quality raw materials, including aluminium and steel columns, they can also be built to-purpose. The specifications of the structures can be modified and upgraded to meet authority permit requirements, including fire safety. In 2018, Losberger De Boer delivered an award-winning 190-m-long pit lane together with second-floor VIP hospitality and spectator viewing facilities for the kingdom’s first international, electric motor sports event. "We project managed the turnkey delivery of the entire pit lane structure to support this event. The entire structure was erected within 40 days and dismantled immediately following race day," noted Khaled. Losberger De Boer has a long history of delivering iconic projects in the region and internationally. Regardless of how large the building or how many buildings are required, the organisation has the capacity and expertise to hand over operational structures within record-breaking timeframes, said the top official.